Early this month we were advised that Windgather Fell Race had been cancelled. Despite the best efforts of the race organisers, contractual difficulties with the Forestry Commission forced their hand. A very unfortunate situation and one has to say, a loss to the Derbyshire Fell Racing scene. With this in mind the decision has been taken to replace the event, allbeit at short notice with the Curbar Commotion, a new race. The Commotion takes place the week before the date of Windgather and as this clashes with other events it was decided to run the 2014 Series with 4 events to count from 5, although this could still include the all New Curbar Commotion. This appears to be the fairest way to proceed, despite not being ideal. The Curbar Commotion, joins the Gritstone Series and is set to be a part of the 2015 set up as well. The race is 9.5 miles in length and has 403 metres of ascent. 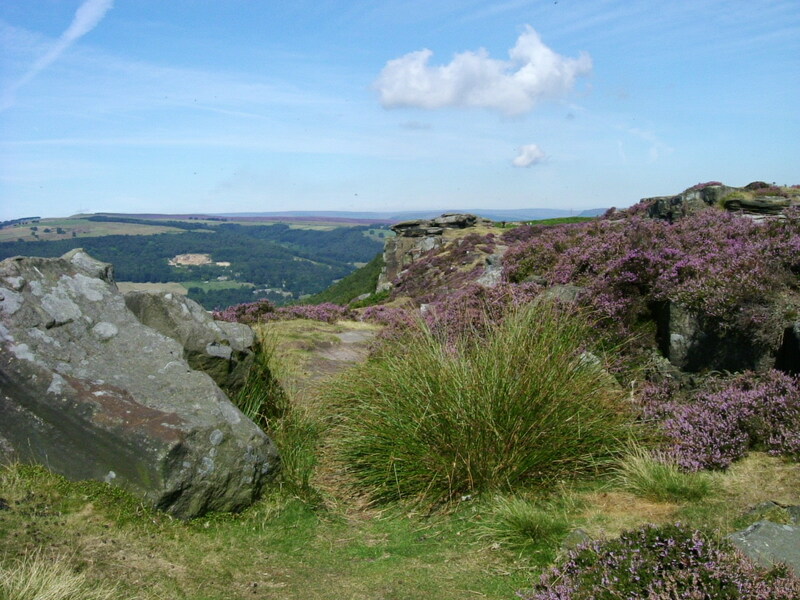 It also passes through some true ‘Gritstone’ Country, so is a very fitting addition to the Series. The start and finish is from the Cliff College in Calver and the race orgnaisers have promised a cracking route and a fell runners post race feast for spectators and racers alike. Registration is from 10am, with the race starting at 11am, on the 5th October. The series is currently led by Stuart Bond and Gay Fletcher. It is to be confirmed if they will be running the race, although Stuart has intimated it is very likely that he will be there. The Accelerate-Salomon supported runner is a regular winner on the locals fells and has only once missed out on winning the Gritstone Series, although nothing is certain yet. Clare Oliffe has improved greatly this year, with her most notable wins coming at Salt Cellar and Longshaw suggesting she will no doubt contest the title, although the ladies series is still wide open and much will depend on who races the last two events. The Gritstone Series 2014 is supported by Inov-8 and Accelerate.